CPV Den Forum - Free PPV Training and Tools > Case Studies > Live Case Studies! Hey Guys Help Me Out! So I was attempting to run a $100 iTunes gift card offer on Media Traffic and AdOn. I was targeting itunes URLS as well as keywords. Trouble popping itunes URLs with the traffic sources. I also targeted the top 200 artists as keywords along with some keywords that I have found to be effective on PPC. The lander I made converts as a splash page on second tier PPC networks but not at all on CPV! PPC convert at around 10%, CPV 3 conversions total. Total CPV spend $140 trying to find a few winners but nothing. Usually I follow my budget but in this case I figured it would work considering my PPC conversion rate, so I tried a few different angles as far as URLs and keywords are concerned. CPV traffic generated a very low CTR to the offer. Is it the traffic source? Should I have used a different lander? With the low CTR I don't think that a prepop would have helped. Last edited by RedTrick; 08-16-2010 at 08:05 AM. I think you broke the first rule and did not follow your testing budget! Some offers just don't translate from PPC to CPV. It sounds like the only thing you did wrong was not follow your own rules and cut the campaign when it was not working. Your landing page looks great to me, and it sounds like you were targeting the obvious urls where people would be interested. Did you have any profitable urls/keywords? I often find on email submits like these there is only 1 or 2 profitable targets. You have learned the basics of CPV Marketing, now take it to the next level! a good place to start with submits sometimes is iframing too. it's a quick and dirty way to test out campaigns. remember, many offers have iframe busters, so test it out before you even create an iframe campaign. follow sean's budget advice of course too. Chef PapaBear's Monthly Special Discounts... What's Cookin? 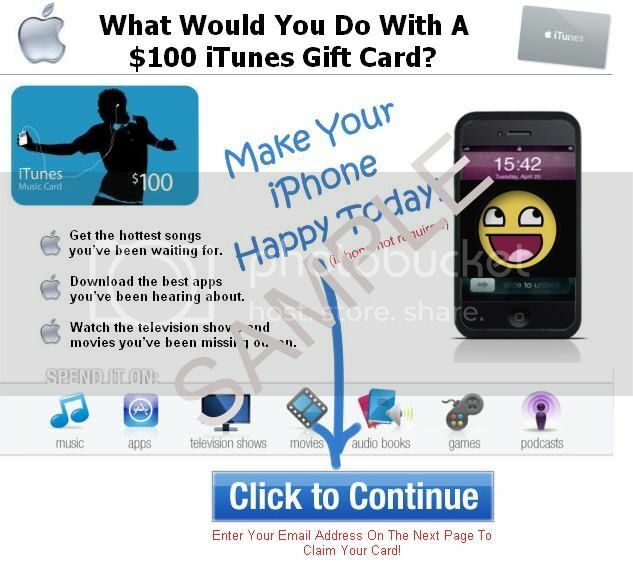 I've tried targeting itunes and apple urls and it simply won't bring profits with an email submit. It's just too wide of a demographic in my opinion, too much untargeted traffic. People are going there to watch movies, check up on podcasts, read about new laptops, etc. Just too wide of a demo for a $100 itunes card. Maybe try the fan club method? I haven't yet so I dunno. Yeah - you would need to try and target some other sites. 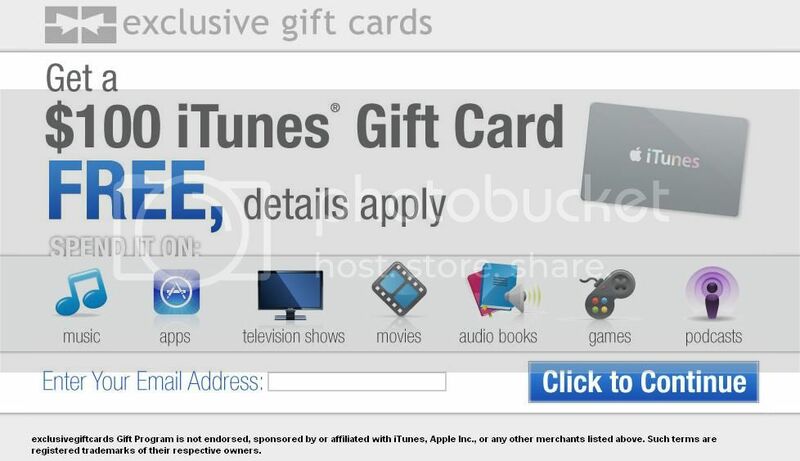 What about sites that sell iTunes gift cards? Like Walmart's specific iTunes page and other retailers like that. Low volume but should convert well. Weekly Payouts, Hands On Training, Run By Affiliates For Affiliates. Hey Flurreh. Since youve been here and know the ropes, I dont think I should tell you about the sections we offer, lol.